Every OEM requires special service tools. 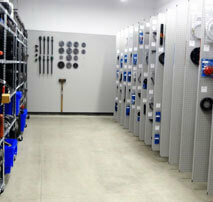 When special tools are organized, the inventory and management of these tools is simplified. The tools are clean and neat, and easy-to-find/put away. No time is wasted looking and hunting for tools. Pivoting Panels are the heart of the Tool Organization System. These Panels allow Special Tools to be organized visibly, in numeric sequence. Tools are not hidden in drawers or cabinets. Every tool is identified with a Tool ID Tag which includes the tool number, description, and a graphic of the tool. Tools are easy to find on the Panels, which act like the pages of a big Book. Simply turn the Panels until you get to your tool. 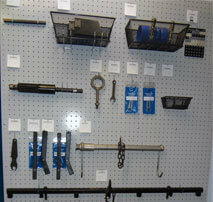 Our goal is to increase efficiency through Tool Organization. We are here to help with the project of Getting Organized. Contact us at 888-245-0050 or send an email to discuss the details of your particular situation. We can determine your OEM tool requirements for Essential/Recommended tools and design a Tool Organization System that will provide room to organize your current tools plus room for future growth. Pivoting Panels are 4’ x 7’, organizing tools on both sides, and include all of the necessary hardware to mount to your structurally sound wall. The quantity of Panels needed varies depending on the franchise requirements with your OEM. Special sizes are available for use under/on mezzanines, narrow rooms, and special applications. There are a myriad of accessories available including 13 different style hooks, 3 sizes of heavy duty vinyl pouches, velcro straps for cables/harnesses, 3 sizes of baskets, Tool ID Tags and rivets, and other items all provided to make the system work smoothly and display the tools properly. Your system will include the necessary accessories, packaged together as a kit, to complete the tool organization project. Our shelving is heavy duty, holding 600 pounds per shelf. It is 48” L x 18” D x 72” H with 6 adjustable shelves. The shelving comes with both adjustable feet and casters (for mobility). Shelves are used for tools that do remain in a kit/case. The TOS Totes are heavy duty, have attached lids, and are stackable . 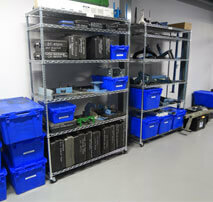 We also offer a rack which supports each tote and makes it much easier to access the totes on the bottom. 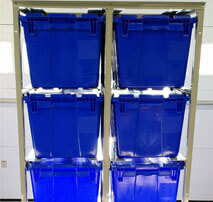 Totes are used to provide dense storage for the older “legacy” tools, as well as a place for duplicate tools. Fragile harnesses and cables are protected in the totes. 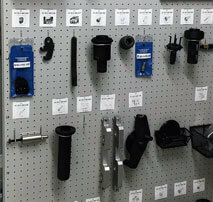 Know what you have when it comes to your tool inventory. 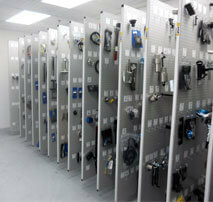 The tool data that we maintain allows us to identify special service tools as required by OEM’s. We know what you are supposed to have. When the tool inventory/organization project is finished, you will receive a complete list of Special Service Tools in your inventory. It will indicate any essential tools that you are missing. We have teams around the U.S. and Canada that are available to travel to your facility, set up the Pivoting Panel System, inventory, identify, sort, and ultimately organize your special service tools. 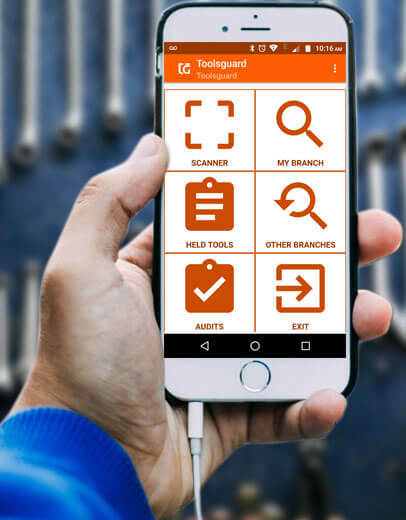 You will receive a detailed Tool Inventory Report (see sample Excel Worksheet above under "Tool Information & Inventory) that includes your tool inventory and also lists any essential tools you are missing.